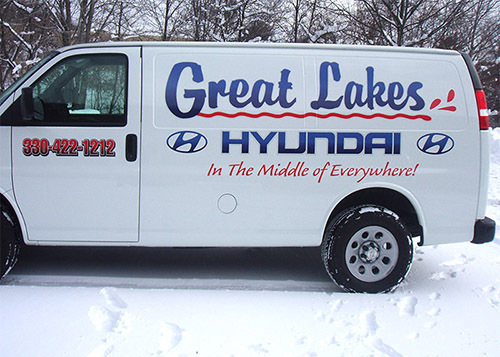 From a full vehicle wrap to window graphics to simple magnetic signs, there are multiple options to turn a single vechicle or a full fleet into a high impact promotional and advertising tool. 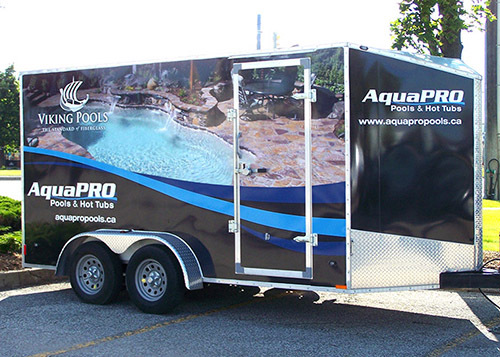 Smartlink Canada can guide you through the various types of vehicle graphics; from inception to completion we will advise you as to the best option for your company and vehicles. We will design the graphic to produce an impactful finished product. We will produce and install the graphics working with the best quality substrates and we will use our experienced installers to ensure the best results. You may have a single compact vehicle or a fleet of large trucks; whatever the situation, vehicle wraps are an extremely effective way to promote your company and your products – a rolling billboard that is exposed to other drivers on the road, in parking lots or on a job site. Full Wrap – A full vehicle wrap is an opportunity to create a high impact graphic effect and a powerful advertising message. Everyone has seen a fully wrapped vehicle on the road – it’s hard to overlook and when designed with maximum impact in mind, the image and an easily read message can be seen by literally thousands of potential customers. 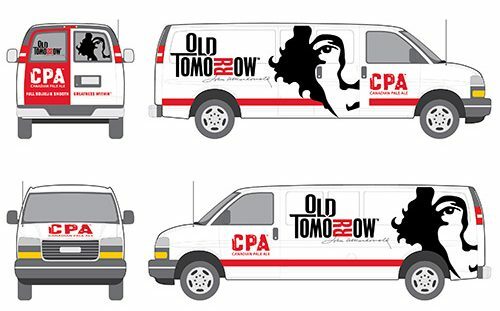 Partial Wrap – Whether it better suits the design, the vehicle or your budget, partial wraps are also an effective way to go. With a partial wrap, it is possible to use a specific part of the vehcle to accomodate your budget without compromising on the effectiveness of the message. Perforated Window Film – Perforated window film on side and back windows can enhance a full or partial vehicle wrap or act as a stand alone graphic. Window graphics don’t compromise visibilty from the inside and create a one way look from the outside. Cut one off from vinyl sheets, vinyl graphics are great for simple text, images or logos. They allow an ease of install and removal to change and update as your company’s needs evolve and change. They create a clean, minmal look that is easy to read. Magnetic signage is the ultimate in easy to use vehicle advertising graphics. This type of signage can be cut to various shapes and sizes, it can be moved from one vehicle to another or if you would like to take a night off from work, remove the sign all together. A very budget friendly and easy to use option.